For decades, tourism destinations, particularly cities like Venice or Paris, have intensively relied on tourism market and Architecture has always represented an attractive force. However, they are now experiencing what is called the “overtourism” phenomenon, with ever-increasing tourist numbers.. 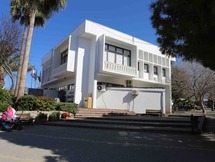 The municipal hall in Famagusta, is located along the main street with the administration buildings built during the British mandate, connecting back then, the walled city entry of Famagusta populated mainly by Turkish Cypriots with.. The building is part of the anonymous 1960s suburban modernist development of the Nicosia. It follows most of Le Corbusier’s five points of Architecture; free plan with piloti, facades independent from the structural system, ribbon windows and roof.. 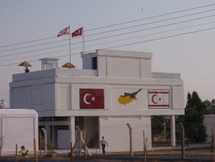 The municipal hall in Kyrenia is a product of donations. 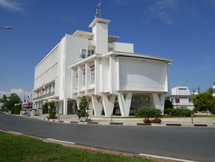 The building is designed by Philippou brothers and opened in 1969. It was donated by the Cypriot Zena Kanther. It is located in the public garden of the city, which was also.. 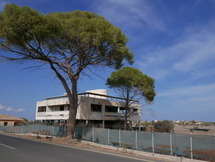 The building is part of the 1960s suburban modernist development of Famagusta. It follows most of Le Corbusier’s five points of Architecture; free plan with piloti, facades independent from the structural system, ribbon windows and roof gardens. It is a.. The municipality of Morphou is located in the old city centre. 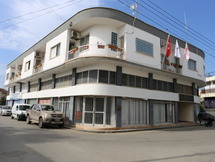 The Greek Cypriot local authorities were renting a modernist two-floor tall apartment building. 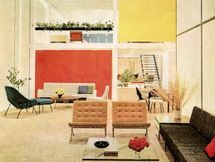 Surprisingly, the “Guzelyurt’s” inhabitants, mostly Turkish settlers but also..
Florence Knoll revolutionized the world of post-war office interiors. She founded the in-house interior design studio, Knoll Planning Unit, in 1945; and the KnollTextiles division in 1947. A designer of several Knoll classic furniture pieces and showrooms, she also directed the Furniture Design.. 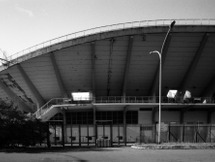 The Flaminio Stadium is a sports centre built in the homonym discrict of Rome, near to Piazza del Popolo, based on the architectural and engineering project by Pier Luigi Nervi and his son Antonio (his father is considered one of the Italian master of concrete architecture in the second half of..